Each year Smirnoff Vodka sponsors the International Fashion Awards and invites notable fashion designers to judge the event, presenting them with that year's designer vodka bottle as a thank you. 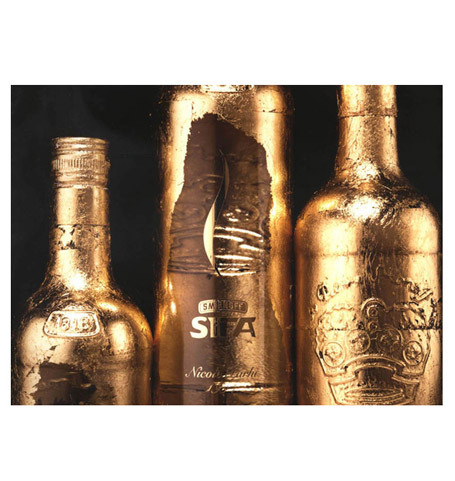 We designed the vodka bottles in the style of that year's awards 'Decadence' covering them with gold leaf as well as each designer's name. Raising the profile of the brand and fitting it perfectly with fashion, these bottles communicated style and youth as well as the decadence they were designed to reflect, a unique gift. Retail level but even to in-house catering buyers.